“The Special One” is the nickname of football manager José Mourinho. 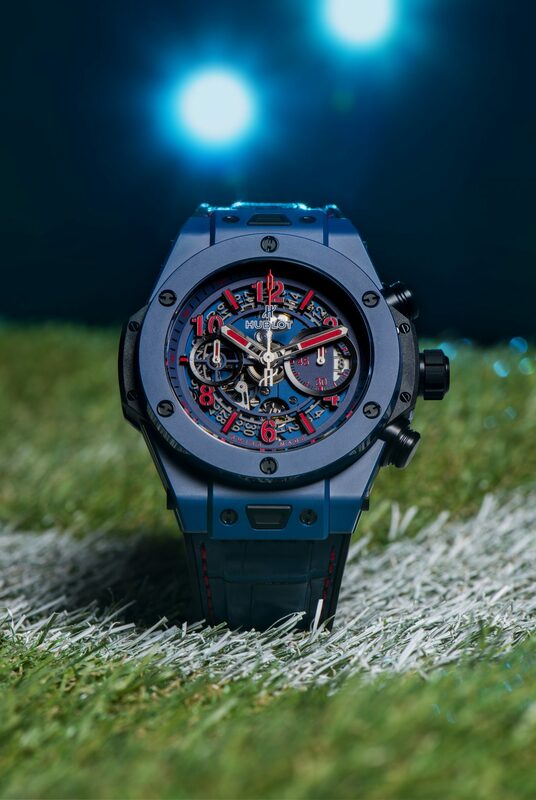 It is only fitting that his watch be special as well: presenting the Hublot Big Bang Unico Special One, a technical gem, to be produced in a limited series of 200 pieces. 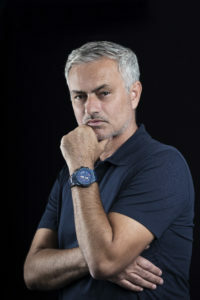 José Mario dos Santos Félix Mourinho, better known as José Mourinho, is without doubt the best-known football manager on the planet. And with good reason, given that many believe him to be the best football tactician of his generation, winning wherever he goes: Portuguese champion with FC Porto, English champion with Chelsea, Italian champion with Inter Milan and Spanish champion with Real Madrid. A unique list of achievements to which we can add two Champions League victories and an unequalled home record, unbeaten in 150 league matches over eight seasons and 183 cup matches. Add to that his exceptional strategic gifts and a deliberately provocative sense of humor, and the result is someone who deserves his nickname: The Special One. José Mourinho is currently the manager of the legendary Manchester United. 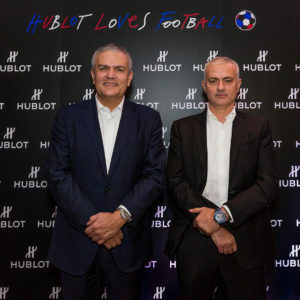 But that’s not the only team he’s a member of: he’s been part of our prestigious family of Hublot ambassadors since 2014. 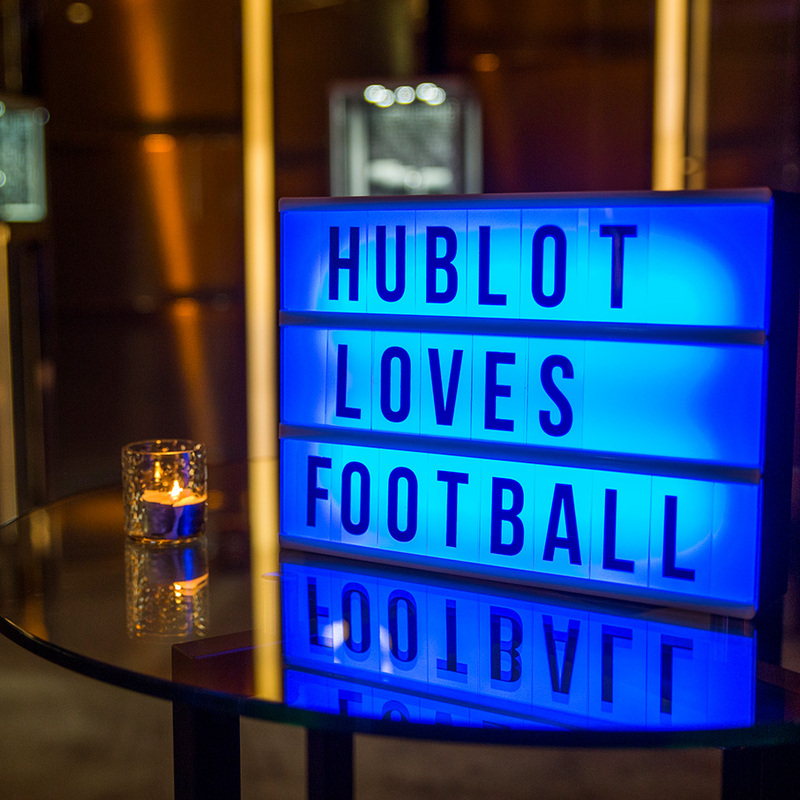 This partnership was celebrated in London on November 28th at an unforgettable event dedicated to team spirit. 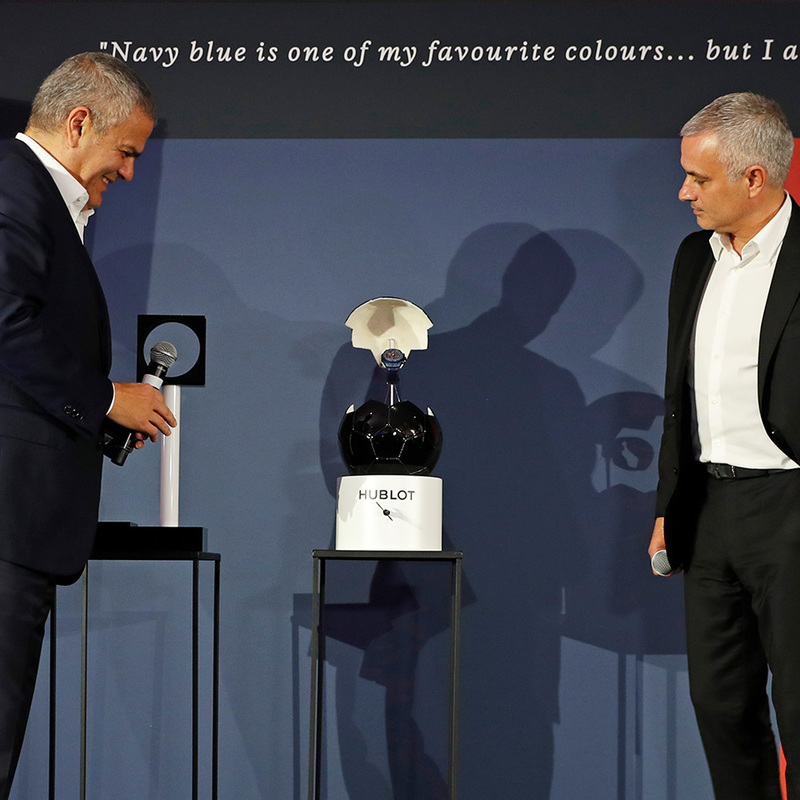 With an interview with José Mourinho expertly led by Ricardo Guadalupe, CEO of Hublot; fast-paced and daring patter from master of ceremonies Mark Pougatch and a surprise concert by international artist Julian Perretta, it was a colorful evening! The highlight was undoubtedly when José Mourinho himself asked the 120 distinguished guests to unveil the limited edition honoring him, with 10 Big Bang Unico Special One watches ingeniously hidden in the centerpiece of each table. 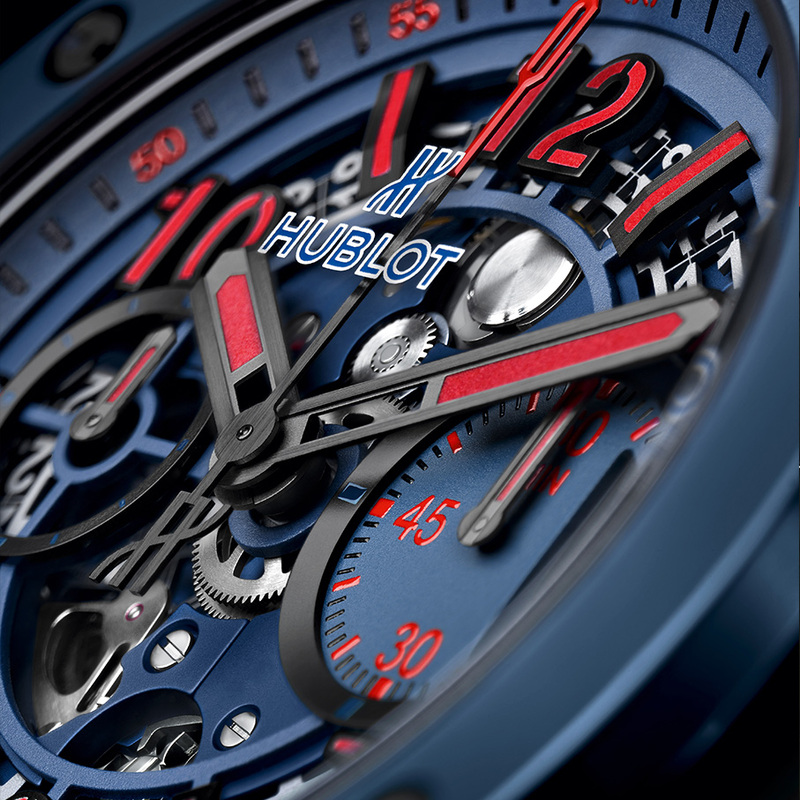 Instantly recognizable, this version of the iconic Big Bang design is adorned in blue. Why blue? Because it’s José Mourinho’s favorite color. Known for his sartorial elegance, he always wears a touch of blue, whether it’s his suit, tie or shirt. So blue is painted straight onto the bezel and 45-mm polished ceramic case. Why red? Because, as José Mourinho explains, red gives character. The dial, with hints of red and black, is skeletonized so as to reveal Hublot’s famous UNICO manufacture flyback chronograph movement, the calibre HUB1242. The movement can also be seen from the back through the transparent sapphire case back and offers a 72-hour power reserve. 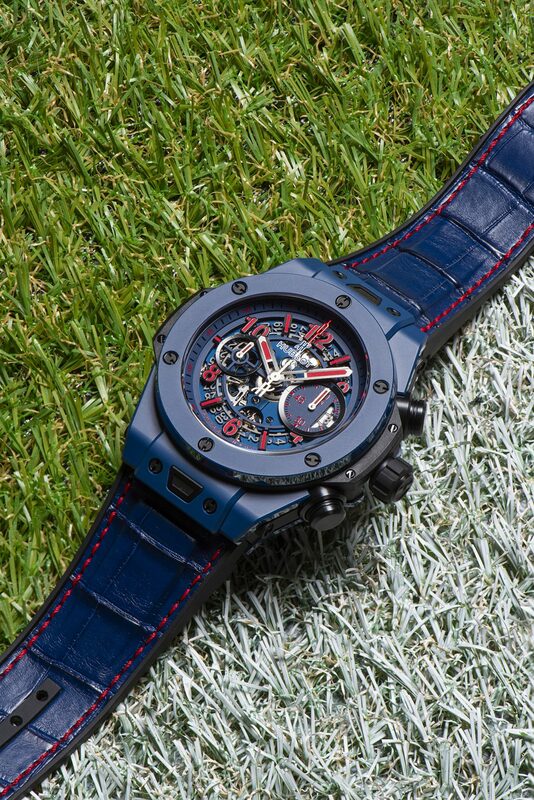 The rubber-lined alligator strap boasts the same blue shade as the watch, adorned by red top-stitching. A limited edition of 200 timepieces, the Big Bang Unico Special One is presented in a case worthy of its exclusivity: a box in the same blue shade as the watch itself, enhanced here and there with touches of black and red, sporting José Mourinho’s signature in the window and containing a personalized Moleskine notebook. Perfect for recording the future feats of The Special One!